The echo of Sam smashing the pearl hangs expectantly in the air but nothing happens, nothing and then more nothing and Dean cautiously allows himself to think that maybe they're going to get away with it for once, maybe things aren't going to come crashing down around him, but Mary starts to fade and within a day she's gone, and John reacts to losing her pretty much the same way he reacted the first time he lost her, by obsessively hunting and obsessively drinking, but Sam's reaction is to withdraw, to go cold and hard, to spend his nights as obsessively as John does, buried in books and his laptop instead of weapons and whiskey, and one morning Dean happens to open Sam's laptop and discovers that he hasn't been researching their current situation at all, that what he's been doing couldn't be farther from it, and he goes to his brother's room and finds him packing, and before he can say a word Sam says since you've got Dad to hunt with now, you don't need me any more, so I thought I'd go back to law school, and judging by that wanted poster downtown you're gonna need a lawyer at some point anyway, and I don't really sleep any more so I might as well do something useful with that time, and Dean doesn't point out that Dad's always gone or drunk or both and Cas is an enemy now and Jack never came back, might not even exist in this reality, and he doesn't think he can do this alone, he doesn't say any of that because he keeps replaying I don't really sleep any more in his head and then he gets it and he says yeah, that sounds good, Sam, you should do that and as Sam leaves, the sound of the door slamming shut is almost drowned out by Michael screaming and banging the door in Dean's head and just, just for one second he thinks maybe it's not worth the trouble of saving this world after all. I like this a lot! And I'm not sure it doesn't make sense? 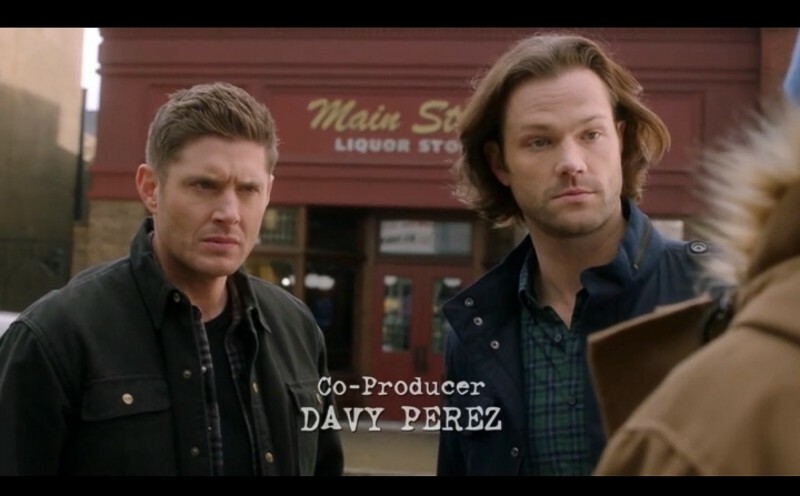 I'd have to rewatch the episode to be sure, but my first thought watching the ep was that he was either a) soulless, b) the demon-tainted Boy King (my personal favorite), or c) Samifer. If John wasn't around to help them track/avoid/flush out the YED, his plan might have actually worked? The one-sentence fic really appeals to me as a concept (probably no surprise) and you do it so well. I love this--all the loss and consequences just packed in so tightly that it's almost like Dean's in that box anyway, already. What did you do?! 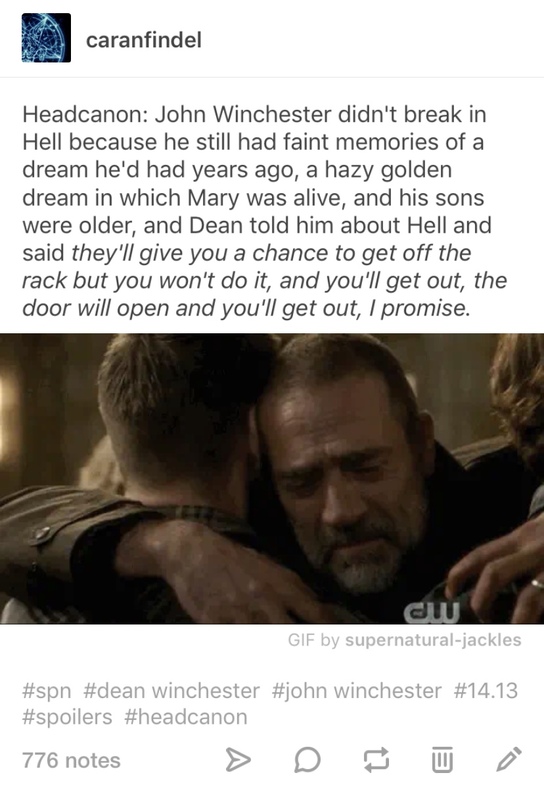 I mean I love it, like LOVE love it, but still this is deliciously cruel; from Mary disappearing, to John's reaction, to Cas and Jack and then Dean not wanting to save the world.